It was the discovery of an autoimmune disease in 2011 that shoved me, however unwilling, onto this continuous path of imperfect progress. It is a sincere love for helping others and writing about the journey that has kept me here. This path to improved health has led to changes in career, nutrition, mindset, finances, and lifestyle choices for not just me but my little family too. I share it all here, in answer to the steady stream of questions and stories from the many people I meet that are all too familiar. We don’t need a diagnosis or a test to tell us that we’re tired, sick, in pain, or just not living the fulfilling life we know we can. It’s my greatest hope that this can be a place where we come together as a community that helps each other in our progress, imperfect as it may be. That’s the only way to get there, imperfectly. 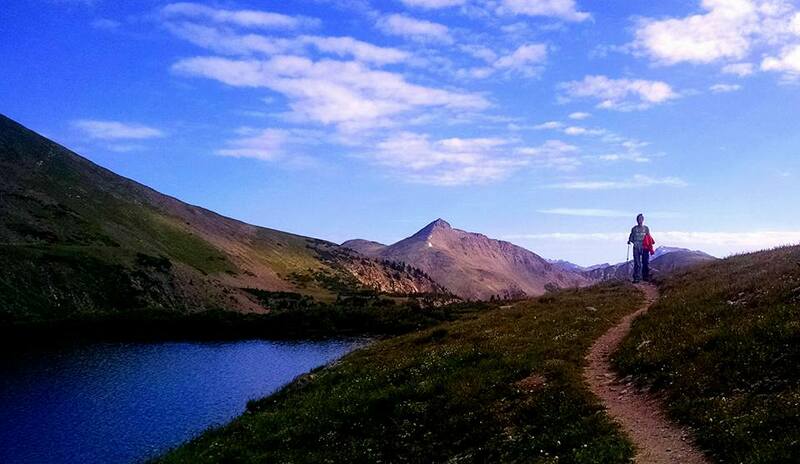 About a year after my youngest daughter was born (2011), I was heading down after summitting La Plata – a 14er in the Sawatch range in Colorado. It felt nearly impossible for me to make it back to the car. With each step, I felt pain in just about every possible part of my lower body. I was going at a snail’s pace, the rest of my party far ahead or having to frequently stop and wait. This wasn’t my first mountain. They are never easy. Making it up and down takes at least as much mental and emotional strength as physical strength (insert countless metaphors for life). This time was different. Crawling down the mountain gave me a lot of time to start putting together all the nagging clues my body had been giving me since having my daughter the year before. In my typical style, I didn’t listen to anything my body was saying until it was screaming at me. Fast forward a few months later. I saw my doctor, had blood work done and was referred to a nearby rheumatologist due to markers for lupus. My diet was pretty much Hershey bars and Diet Pepsi. That’s not an exaggeration. I can’t really say that I even drank much water, just enough to swallow a handful of pills every day and night. The medical strategy I was participating in at that time was, throw all the medicine at it and see what sticks. This left me tired, sick, in a lot of pain, and truly unable to stomach much food. No doubt, not eating all day, then enjoying a supper of chocolate and soda wasn’t helping the situation either. Enter my knight in shining armor, my husband…awe. Who knew that a few, simple words casually thrown out one night would change my life so drastically. That night all he said was, “You can’t keep doing this.” I took it as a personal affront and quickly made excuses for why I couldn’t change my diet or the way I was living. Yet over the next few days, we prepared to cut out all sugar and grains for just two weeks, as a cleanse to begin better eating. That was only the beginning. He still hasn’t given up looking for ways I can control and improve my health. Today there are chickens running around our backyard and raised-bed gardens where green grass used to grow, all for my benefit and in hopes of saving our daughters from a similar future. He even encouraged me when I sought some alternative medical treatments like this. It turns out, my markers and symptoms qualify me under “mixed connective tissue disease”. In my case, that means, I have a combination of lupus and an even rarer autoimmune disease called relapsing polychondritis. (Hello to all my fellow RPers!) One or both of the above seem to have led to pulmonary hypertension as well. “Losing my health” took me through the stages of grief on repeat. Definitely denial – for YEARS I only participated in hushed, vague conversations that never admitted what was really happening to my body. Sadness and anger – grieving the loss of the life I had envisioned for myself, the life I wanted to live as a mom and wife. The first time it was too painful to braid my daughter’s hair and weekend afternoons curled up on the couch while my family was outside having fun, come to mind. Fear – hearing, “someday…” (in a less than uplifting tone) countless times from your forthcoming pulmonologist, will incite some real fear. Feeling like you have no control over your own health is pretty scary too. Finally, honest acceptance, ahhh. So when my trusted rheumatologist said, “It’s too bad you have to go to work,” I had another bit of a wake-up call. I do have control over my health. I don’t have to be sad over losing some vision I had of a life that was never really mine in the first place. I only have this one. I don’t have to fear the future. It will always be uncertain, for everyone. I find the hope in that now. I can choose doctors, of all types, with my long-term health in mind. We can live on a budget, and I can stay home. I can treat my food like medicine, and be very discriminating with what I put in my body. I can control my perspective, choose to celebrate the gifts this illness has given me instead of choosing denial, fear, and sadness. For me, that’s what this blog is about, a sincere celebration of all the gifts having an autoimmune disease has given me – an unbelievably supportive husband, more time to be the mom and wife I want to be, a sense of urgency to savor every moment and make it count, an evolving understanding of how to treat my body with the care and respect it deserves, a grateful heart, and so much more freedom. It’s about something else too. Each of us has our own story, none of them cliche. I know that most of us are tired. I know that most of us are in some kind of pain. I know that most of us struggle, in some way, with health and managing all life throws at us. A diagnosis isn’t needed to legitimize that, but if the experience of my imperfect progress could help someone else, in any small way, that would make this even sweeter. After all, this isn’t our (as in YOU too) first mountain. We may be on our way down from this one, but there will be others in our future. If we can get over them together, stopping for each other along the way, the view will be all the more beautiful for it.